Call to share American heritage from nostalgic photos announced by ScanMyPhotos.com from family photo album archives. Our local history holds a treasure trove of interesting stories and tales about how our nation came to be. This history is also what helped to shape who we are, where we come from, and/or where we currently live. This is why we’re starting our #PictureLocalHistory challenge for the month of August. While many historical societies and archivists throughout our country work hard to preserve local history, we’ve found that many of these clues and stories of the past are hiding away in the closets, attics, and basements of our customers. That’s right—we’ve scanned 400 million vintage print photos that reveal how life was lived in American cities and towns 20, 50, and even sometimes 100 years ago. One of these photos might even be sitting in your closet right now, waiting to be preserved. So, in honor of World Picture Day 2017—which falls on August 19—we’re challenging every city in America with a very special project: #PictureLocalHistory. Whether it’s a photo of your great grandfather riding his 1930s Harley from Wisconsin to San Diego or a photo of your great grandmother which shows a day in the life of your Chumash heritage, old print photos highlight bits and pieces of history across America. And, of course, there are still more pieces out there to be discovered. With 3 1/2 trillion still-analog printed photo snapshots, they are awaiting to be scanned and digitized. These photos could reveal fun, interesting, or crazy pieces of local history—and now is our chance to bring them to life. A nationwide Associated Press story just broke on what every family has a problem with. Old photos fading away in today’s all-digital world. 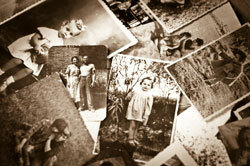 Take a survey of your home, and consider all the spots where you have old photos. 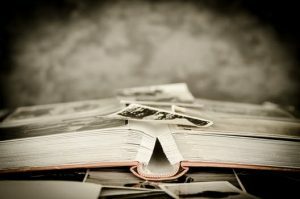 Perhaps you’ll find baby pictures in albums in the living room, vacation snaps in tattered envelopes tucked into a bookshelf, milestone moments in old frames, and older relatives’ fading photos in dusty boxes in the basement or attic. 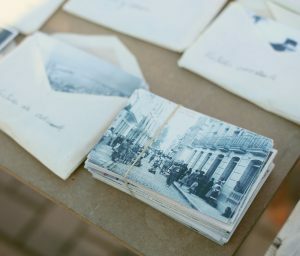 If you digitize photos, you can scan them into the computer yourself, pay for the service at a camera shop or go through an online company like the one Stephanie Sisco, home editor for Real Simple magazine recommends, ScanMyPhotos.com. Q. Do photo-scanning apps for phones really do much more besides take a picture of the picture you want to scan? As you know, our passion for 27-years is helping to preserve generations of photo memories. Today, something big happened to advance that mission, as The New York Times reported in its Personal Tech Tips column on photo scanning in this article. It’s with even great pride that the profile was written by one of our favorite tech journalists who we most admire, J.D. Biersdorfer who has been answering technology questions for The New York Times — in print, on the web, in audio and in video — since 1998. She also writes the Sunday Book Review’s regular “Applied Reading” column on ebooks and literary apps, among other things. Outside The Times, Ms. Biersdorfer is the author or co-author of eight books on consumer-technology topics and co-hosts the independent Pop Tech Jam podcast. 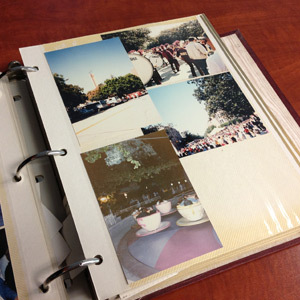 Since our blog post regarding removing photos stuck on glass, we have received many requests to post some tips to remove photos stuck in photo albums. This is another hot topic in the world of photo scanning and while every method comes with risks, these tips sent in by others are the most frequent “success stories” that we received. First, a little back story on those horrible magnetic albums and why they are evil. These older magnetic photo albums had pages covered in strips of tacky glue that would hold the photo and then were sealed under a clear plastic sheet. The glue, as it turns out, was highly acidic which had a two-fold effect. Over time, the glue ate away at your photos, slowly destroying them as they sat on the shelf. Secondly, the glue, as it dried over the years, became extremely aggressive in maintaining the bond between the paper of the album and the photo which makes it really difficult to remove. Between the glue and the chemicals in the clear plastic sheet, it means certain doom for your photos sooner or later. It seems these albums were developed with only the short-term lifespan of photos in mind and I doubt there was much “stress-testing” on what would happen if the photos were left in the album for years.